It’s 1946 in Hamburg, an engineer and inventor by the name of Dr. Friedrich Jungheinrich works with his small team in a modest workshop to develop technical solutions that will one day change the world of material handling. The first pallet trucks and transport equipment to come out of this workshop are given the name: Ameise®. Named after the German for ‘ant’, this fitted perfectly with the strong, robust and hard-working nature of these first innovations. On 22nd October 1948, the Ameise® brand was officially created. Dr. Jungheinrich's aim was to provide a distinctive and respected brand that would, over the years, make itself known to millions of employees in Europe and around the world. Today, over half a century after its creation, the brand is still synonymous with reliability and endurance. 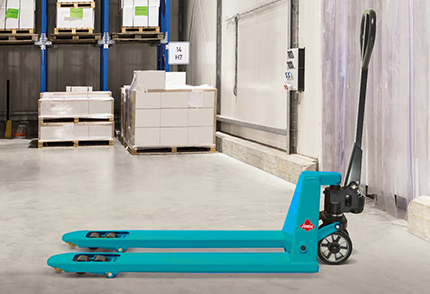 The Ameise® range offers robust and practical trucks for everyday tasks in warehouses and workshops, including; manual and electric pallet trucks, scissor lifts, mobile and fixed stackers, manual and electric stackers and small platform trolleys. We have the right model for all requirements. With a capacity of up to three tonnes and easy manoeuvrability in tight spaces, the Ameise® hand pallet truck is the perfect workshop aid. 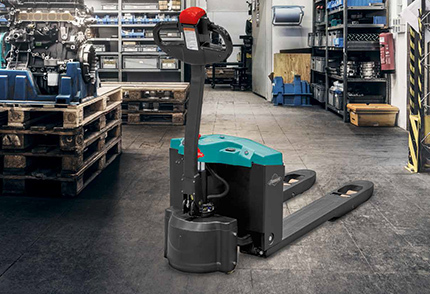 Electric pedestrian pallet trucks from Ameise® are easy to handle, compact and extremely manoeuvrable - enjoy effortless and rapid goods transportation. 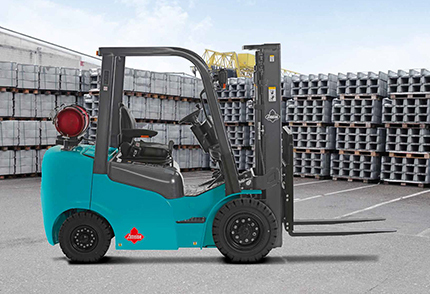 Our robust and reliable Ameise® diesel counterbalance trucks provide you with strong performance and productivity. A true work-horse in even the toughest applications. Ameise® products are available exclusively online in the Jungheinrich PROFISHOP. This ensures you are able to buy them at the most competitive prices possible. They are a great value alternative to the premium quality Jungheinrich products.